Choosing a contractor isn’t just about price. There are many things to consider, such as expectations, quality of the products and services, courtesy, professionalism and on-time delivery. What are the warranties, both from the contractor and the manufacturers? Are these warranties verifiable in writing? Make sure you understand how much of the warranty is prorated. 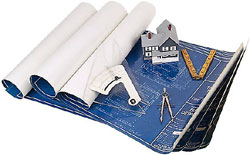 Is the contractor recommending certain products or materials and, if so, why? A contractor will prefer one product over another for various reasons. One is because there is verifiable evidence and/or professional experience that proves one product is superior to all of the others. Ensure that the contractor’s level of expertise and overall experience exist in large enough scale to provide you with a satisfactory level of comfort. What are the payment terms and installation policies? Ensure you know the schedule of payments and what must take place before payments are made. Does the company offer lien waivers for labor and materials? This is an important aspect of project completion. A lien waiver removes the likelihood of having a mechanics lien placed on your home for any unpaid balances. Upon request, a professional contractor will provide a lien waiver upon final payment which tells you he will not be able to lien your property for non-payment. Also, a material waiver can be provided to show that all of the payments for any major material delivery has been made by the contractor. If you pay the contractor and he doesn’t pay his suppliers, you could be responsible for bill. Does the company possess liability insurance? Any contractor can easily provide an insurance certificate proving there is ample insurance coverage for your project. After all of the work is completed, satisfying memories of the construction is what your remodeling company should bring you. From beginning to end, you want to work with a company that not only has expertise in all these areas, but one that has integrity and a proven track record of trust and dependability. Courtesy and professionalism are the hallmarks of a good contractor. Most people would like their contractor to provide guidance and advice without pressure to sign on the dotted line. 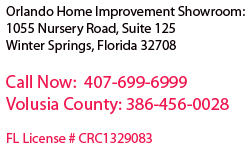 We are a family owned and operated remodeling company and we understand our customers. We started the business with the idea of providing first class installation of top quality materials. We are registered with the BBB and we are a member of several building associations. All of our ratings are high and we live to provide the finest customer services in the business. Our greatest strength lies in our personal approach to working with our customers to create the results you dream of. Mark McGrath, the owner, will personally assist you in the design of your home’s makeover. We personally do all the estimating and sales so that you can be certain that your project is planned thoroughly, thoughtfully, and professionally. With this personal approach we aim to build a relationship with our customers so you feel at ease with your upcoming project. So, if you don’t care for high pressured sales tactics and would rather choose a professional consultation that is more friendly and easy to understand, please feel free to give us a call.